The joint capsule is formed by ligaments that surround the joint to provide stability. Capsulitis is a condition that occurs when this joint capsule becomes irritated and inflamed. The most common area Capsulitis to occur is at the attachment of the second toe to the second metatarsal. This joint is referred to as the 2nd MTP joint (Metatarsal-Phalangeal joint). Capsulitis can also occur at the 3rd MTP, 4th MTP and 5th MTP although that is less common. If Capsulitis can progress it can lead to tearing of the surrounding ligaments and dislocation of the second toe. For this reason, Capsulitis is sometimes referred to as “Pre-dislocation Syndrome”. 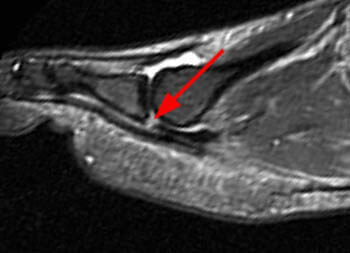 A sign of Pre-Dislocation Syndrome is the second toe deviating towards the big toe. Capsulitis is due to damage that occurs to the joint capsule ligament. This leads to inflammation and pain. If left untreated it can lead to bone marrow edema, plantar plate tears/sprains, tenosynovitis/synovitis, stress fracture and potentially dislocation of the toe. Common symptoms include the sensation of a marble or bunched up sock under the MTP joint, pain with running or jumping, pain with wearing high heels, pain when walking barefoot, pain when wearing narrow shoes and swelling or the sensation of fluid under the affected area. 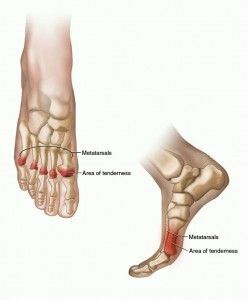 Bunions, abnormal foot mechanics, excessively flat feet, excessively high arches and excessive or over-pronation are all thought to cause Capsulitis. Running and jumping sports as well as high heeled shoes are thought to also contribute to Capsulitis to repetitive and excessive pressure on the 2nd-5th MTP joints. What are common misdiagnosis for Capsulitis? How do you accurately diagnose Capsulitis? Capsulitis cannot be seen on X-ray but must be diagnosed with an MRI. There are no accurate physical examination tests to definitively diagnose Capsulitis. Once diagnosed Capsulitis should be treated similarly to a plantar plate ligament tear/sprain to ensure healing. How do you effectively treat Capsulitis? To effectively treat Capsulitis, you must stop all aggravating activities such as running and jumping sports. In more severe cases it is wise to use crutches and eventually a walking boot to allow the joint capsule time to heal. At San Diego Running Institute we employ the Altered Gravity Treadmill which allows us to “unweight” the patient and reduce stress on the joint capsule. 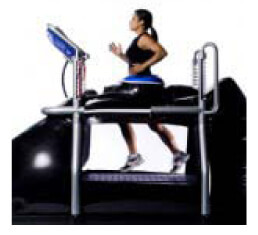 This allows the runner or athlete to continue to run while their joint capsule is healing and speed recovery time. Other treatment methods include ultrasound, strengthening, taping and custom orthotics with metatarsal pads. If you are suffering from metatarsal joint pain and want an accurate diagnosis and treatment options, then call San Diego Running Institute today. Dr. Allen D.C. will perform a series of tests to differentiate your condition between Bone Marrow Edema, Stress Fracture, Tendonitis, Capsulitis and Tenosynovits/Synovitis. If necessary, he will order an MRI to confirm the diagnosis. 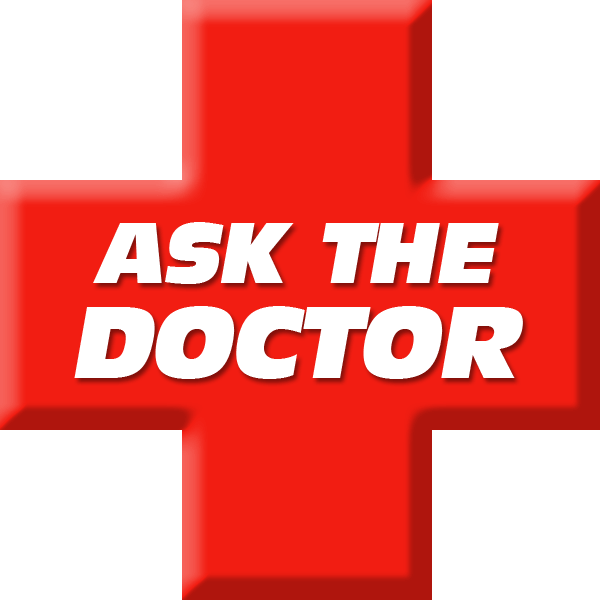 Dr. Allen D.C. will explain your condition to you in detail and provide you with all possible treatment options. To make an appointment call (858) 268-8525. All major health insurances are accepted.